I know this is silly, but I have a friend who wants to buy one to wear within two weeks. I wouldn't even know how to go about this, nor if there's anyone who could make it. Make that in 2 weeks? 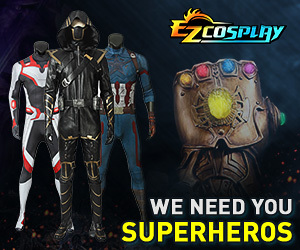 Nah..Not gonna happen..Even more so if you are looking for someone online to make it..You're looking at a good week to have it just arrive..No one could even make this costume by itself in that little amount of time unless they are not doing anything else.